A court filing Thursday by special counsel Robert Mueller and the U.S. attorney in Washington, D.C., adds new intrigue about what investigations are still ongoing around Russian social media interference in American elections. In the filing, prosecutors say they need to file under seal an explanation as to why they oppose being forced to hand over certain discovery that is be sought by Concord Management, a Russian firm charged by Mueller in February that is accused of funding the internet trolling operation. Prosecutors said the motion discusses a “matter occurring before the grand jury,” citing a local court rule about when filings can be submitted under seal. The discovery being sought by the Russian firm seeks information as to how Mueller learned of information that allowed his prosecutors to take an unspecified “investigative action” in late August. Concord Management is the only defendant among the individuals and companies Mueller charged in February to show up in court to fight the case. 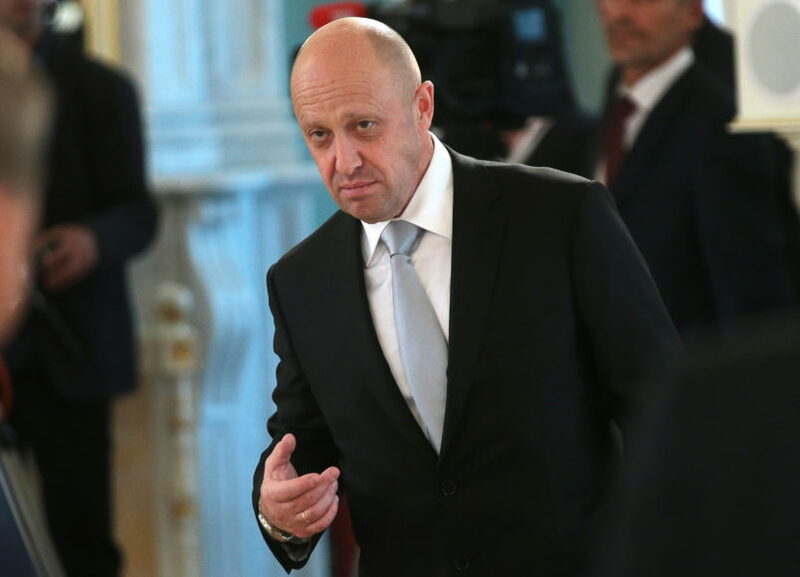 Mueller also charged the firm’s executive, Yevgeniy Prigozhin (pictured above), a Russian oligarch known as “Putin’s Chef.” However, Prigozhin has not submitted to the court’s jurisdiction. The American lawyers representing the company, however, have been aggressive and even contentious in their sparring with prosecutors. In attempting to resolve the dispute, U.S. District Judge Dabney Friedrich in August ordered the use of Justice Department lawyers not involved in the case, known as a “firewall counsel,” to help evaluate national security concerns Mueller has raised about letting Prigozhin and others access discovery in the case. Concord Management has since filed with the court concerns with how the firewall counsel system is working in practice. Last month, the company also raised suspicions that confidential information it had provided firewall counsel in August had made its way into the hands of Mueller’s team. A week after Concord Management provided the information, “Assistant Special Counsel L. Rush Atkinson took investigative action on the exact same information Concord provided to Firewall Counsel,” according to a December filing by the company. Upon learning about “this remarkable coincidence” in October, Concord Management’s lawyers, according to the company’s filing, emailed Mueller’s team and the firewall counsel seeking an explanation. “The Special Counsel’s Office responded to the email on October 7, 2018, but did not explain how it obtained the confidential information, stating instead that the trial team was unaware that undersigned counsel was in communication with Firewall Counsel and that ‘[n]o criminal process that has been turned over in discovery is derived from [those] communications,'” the company’s filing last month said. Prosectors are opposing Concord Management’s request that the court compel them to explain where Mueller got the information. However, because it relates to a grand jury matter, prosecutors won’t be filing that opposition motion publicly.